In stock -This product will ship today if ordered within the next 7 hours and 11 minutes. 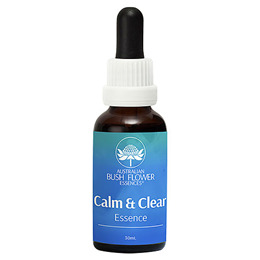 The Calm & Clear Drops help to find time for yourself, to relax without external pressures and demands, as well as to wind down and enjoy relaxing pursuits. Black-eyed Susan, Boronia, Bottlebrush, Bush Fuchsia, Crowea, Jacaranda, Little Flannel Flower, Paw Paw, 67% Purified Water, 33% Brandy (12.5% alcohol). Seven drops under the tongue, morning and night. Can be diluted in a glass of water. Can be diluted in water. 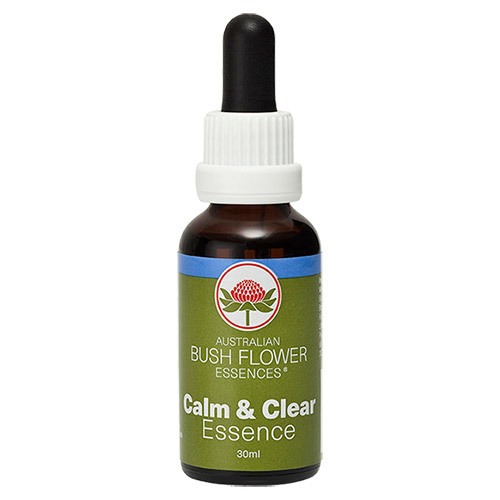 Below are reviews of Australian Bush Flowers - Calm & Clear Drops - 30ml by bodykind customers. If you have tried this product we'd love to hear what you think so please leave a review.